Microcement applicators based in Staffordshire and serving the whole of England. Microcement is a highly versatile product that can be applied to a vast range of surfaces both interior and exterior. It is most commonly used as a decorative and durable floor or wall covering or as an alternative to tiles. 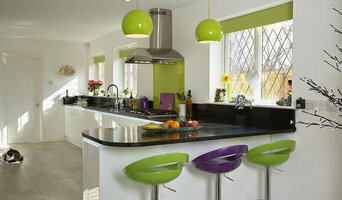 More recently it is being applied to worktops and furniture with dramatic effects. At Walls to the Floor we offer a complete microcement service. We have undergone certified training recognised by one of the leading microcement manufacturers in Spain. Fifteen years experience in plastering and a previous five years in the building trade gives the perfect skill set. We pride ourselves on building a relationship with every client we meet and endeavour to provide numerous ideas and solutions for every project. For three decades in-toto Stockport has been designing and installing beautiful and practical kitchens and bathrooms across Cheshire & Greater Manchester. We are one of the longest established members of the UK's largest kitchen franchise, offering both the security of a national company and the personal touch of a family run business. We've got a style for every taste and lifestyle, and we'll give you the personal attention you deserve, to design your perfect kitchen or bathroom. Unlike most in-toto design studios though, Stockport are also a building contractor. Not only can we supply & fit your dream kitchen or bathroom, we can build the rooms to put them in! We are a genuine one stop shop, all under one roof. 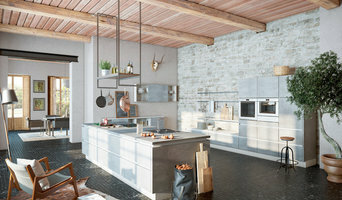 At in-toto Stockport we believe in the importance of developing personal relationships with each and every customer, to create rooms that reflect our clients' personalities, tastes and needs. So if it's a kitchen, a bathroom or major structural alterations, let in-toto Stockport make your dream a reality. For over 40 years David Gunton has been enjoying life, creating and restoring fine hardwood floors. He becomes more boring in his enthusiasm for them with each passing year. A perfectionist, who, in his son Rob who works with him, spawned an even greater perfectionist and master craftsman joiner /carpenter / hardwood flooring expert. David and Rob seek opportunities to collaborate with discerning clients to make beautiful floors for them and posterity. Scorning 'off the shelf' materials, their works are handmade, designed and made from scratch. ( Funny phrase? Made from wood in reality. ) We scour the UK, Europe and the World, for the right timber for every floor; the right quality, and cut; the longest (up to 15 metres), widest, straightest, oak logs for extraordinary handworked board floors; ultra fine logs, free of knots and of consistent colour; 'Country grade' rippling with character and Burr logs of inestimable beauty. For a seaview house in Oz we supplied 8 by 1.1 metre oak boards. The Hong Kong Gagosian Gallery sports very fine, quarter sawn, oak parquet boards of planned lengths. After the Great Fire at Windsor Castle, we recreated the complex decorative marquetry floor in the Crimson Drawing Room and restored the original decorative floors in the Green Drawing Room and the Grand Reception Room. We carried out restorative isolated repairs to marquetry floors in the State Rooms at Buckingham Palace. We enjoy as much the making of simpler beauties such as an 8 sq.m. Cherry basketweave floor in the hallway of a 1930's semi detached house near Bristol. The client told us the floor gave him joy every day when he returned from work and opened his front door. Many clients tell us that they have been reluctant to put rugs and furniture on the floor and so cover its beauty. 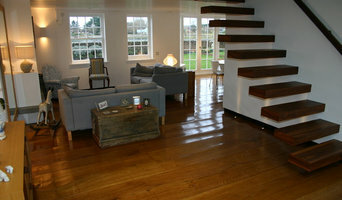 We have restored many old, even ancient, floors, from Edwardian parquets to 15th. C board floors which are now good for a few more centuries of use. From those experiences we confidently predict that our new handworked oak board floors, if reasonably cared for, will still be in use 1000 years or more from now. Equally, we are surel that our meticulously created new parquets may well still be in use 500 years hence. So, we are not making disposable floors, but things of art and beauty to last into the future. We are often invited to put time capsules under the floors we make for the enjoyment of future generations. Specialist, conceptual solutions are synonymous with Diverso. We’re industry leaders in the production of an impressive array of architectural features; such as feature glass staircases, aluminium orangeries and feature balconies. We thrive on the opportunity to help people add a true element of class to their home or business. Specialist Metal Roofing & Cladding Contractor. Copper, Zinc, Stainless Steel, Aluminium, Single Ply Flat Roofing Membranes, Tata Steel Roofing & Cladding. Slate & Tile Roofing. For Domestic & Commercial Property's. There are only 2 reasons why we buy, one of the reasons is we have negative emotions about something and we have to buy to replace negative emotions with positive emotions. This applies to everything. So what we do - we provide positive emotions about your dream space, we convert your dream space in to reality. Extra room space in loft, additional space for kitchen with single story extension. You done buy service or product, you buy positive emotion about your house and we deliver that every time and beyond. We are a local family run business that prides itself on service. We offer a range of technical services from IT support, to home security solutions and cabling. We always offer a free site survey prior to providing a quote so we can ensure a bespoke solution tailored to your requirements. We don't just create glass Balconies & Balustrades, instead, we create stylish, low maintenance, remarkable outdoor living spaces. You won't ever be constantly re-painting our products, wire brushing away any rust, not even after 20 + years, and never will you be painstakingly treating your Balcony flooring area every 6 months to prevent rot. This is because every single Balcony, Balustrade & Privacy Screen product designed, manufactured & installed by us is built specifically for you, with unbeatable quality, exceptional style & sustained durability supplied as standard! We are construction cost consultants and chartered Quantity Surveyors. We focus our time, energy, experience and resources into providing what our clients need from us, we listen to what they say, ask the right questions and design the appropriate service for them, we provide the service they need. Clients need to be happy that we have added real value to the project or there is no point to having a Quantity Surveyor on the project. It doesn’t matter what stage the building project is at – ideally we’d get involved right at the start, from the outline sketches, that way we can advise the client at all stages so that they understand the impact of the decisions they make, but even at dispute stage, when you think it might be too late, we can add significant value. Having a professional team on your side adds energy and structured communication to the building project, and a drive to get things right as a team and on schedule – in short – a successful project. Lawnmate@gmail.com Welcome to Lawnmate garden and handyman services. We are always available for inquiries and appointments. "WHAT YOU REQUIRE IS WHAT WE DELIVER" Here at Lawnmate Garden and Handyman services we offer a high quality garden service and provide for all your home DIY needs, We are a small friendly, reliable firm, who offer gardening maintenance and Handyman DIY services. We work with primarily residential customers in and around Stoke on trent and Newcastle under Lyme. areas. We are happy to provide a quote for lawn mowing or any of our garden maintenance services which includes weeding, small tree felling, hedge trimming, pruning, etc etc without obligation. We are available all 4 seasons bar adverse weather conditions. If you would like any more information please don’t hesitate to contact us. I'm fully £2M public liability insured, and a registered waste carrier. I'm also a registered member of the Staffordshire and Stoke-on-Trent "TRADER REGISTER" WE AIM TO PLEASE. OPEN 24X7 FOR EMERGENCIES. Offering surveying with either traditional or aerial equipment. Site engineering, project management and Health & Safety consultancy across the north of England. As they juggle your demands and the work of home builders, the New Mills, Derbyshire, UK building project manager often benefits from a construction industry background. This may also assist you when you need to hire additional contractors. Look in the Professionals section of our website under New Mills, Derbyshire, UK specialty contractors, then select the nearest metro area for a contractor. 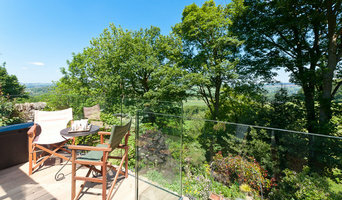 You can also look through Derbyshire photos of completed projects to see how a contractor might approach design challenges.